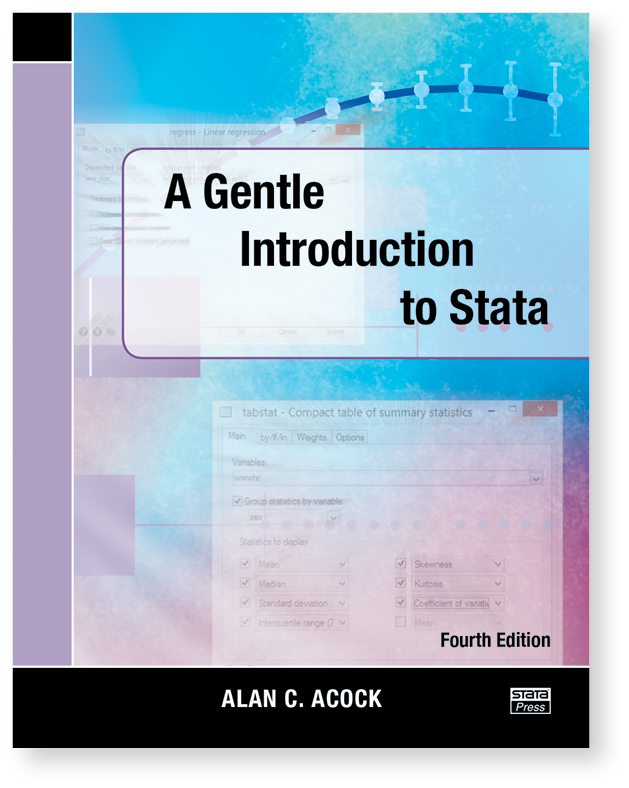 Updated for Stata 13, this book delves into new features, such as power and sample-size analysis using the power suite of features (specifically two-sample tests of means, as well as one-way, two-way, and repeated measures ANOVA) and effect-size computations using esize and estat esize. This edition also boasts a new chapter that gets you up and running with Stata’s SEM Builder and sem and gsem. These are just a few examples of the features covered in Acock’s book. Acock is quite careful to teach the reader all aspects of using Stata. He covers data management, good work habits (including the use of basic do-files), basic exploratory statistics (including graphical displays), and analyses using the standard array of basic statistical tools (correlation, linear and logistic regression, and parametric and nonparametric tests of location and dispersion). He also successfully introduces some more advanced topics such as multiple imputation and structural equation modeling in a very approachable manner. Acock teaches Stata by using the menus and dialog boxes while still stressing the value of do-files. In this way, he ensures that all types of users can build good work habits. Each chapter has exercises that the motivated reader can use to reinforce the material. 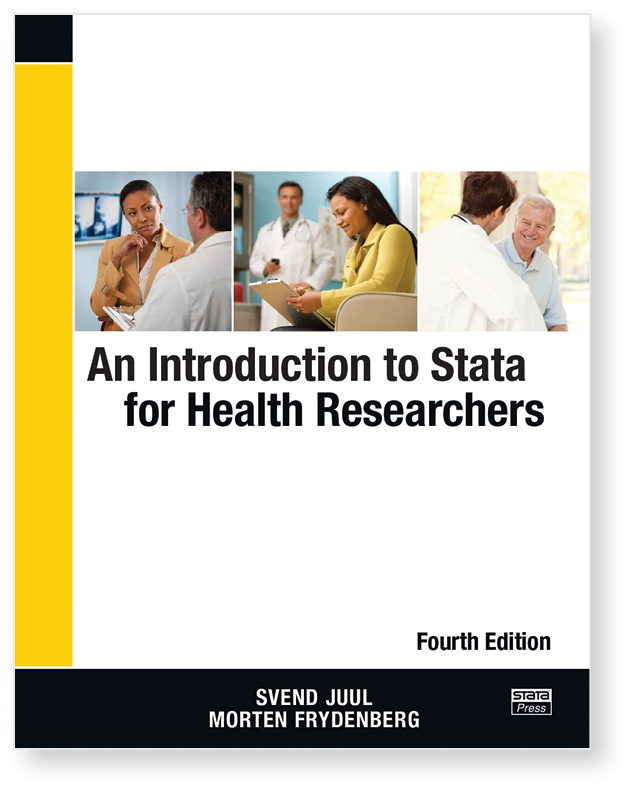 The fourth edition has been substantially revised based on new features from Stata 12 and Stata 13. The updated material has been streamlined while including new features in Stata. The book is based on the assumption that the reader has some basic knowledge of statistics but no knowledge of Stata. The authors build the reader’s abilities as a builder would build a house: laying a firm foundation in Stata, framing a general structure in which good work can be accomplished, adding the details that are particular to various types of statistical analyses, and, finally, trimming with a thorough treatment of graphics and special topics such as power and sample-size computations. Speaking Stata Graphics is ideal for researchers who want to produce effective publication-quality graphs. 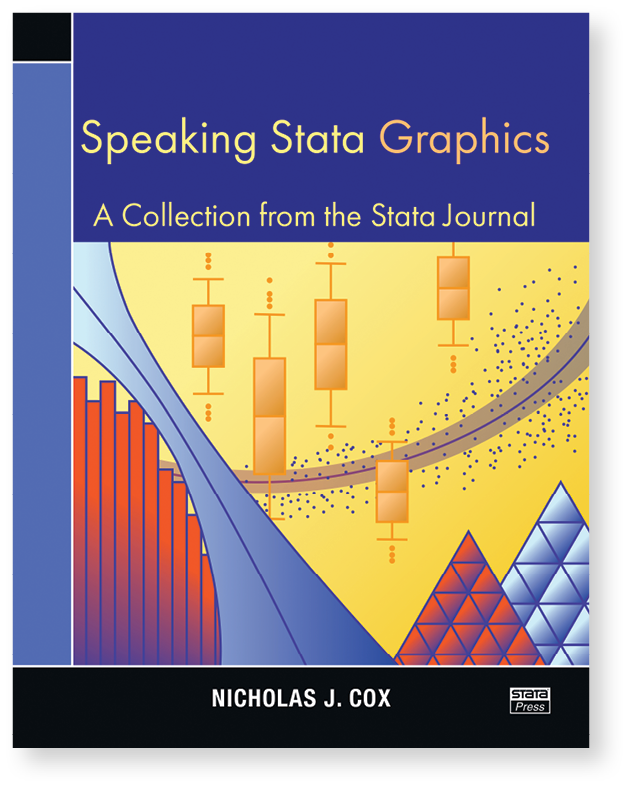 A compilation of articles from the popular “Speaking Stata” column by Nicholas J. Cox, this book provides valuable insights about Stata’s built-in and community-contributed statistical graphics commands. 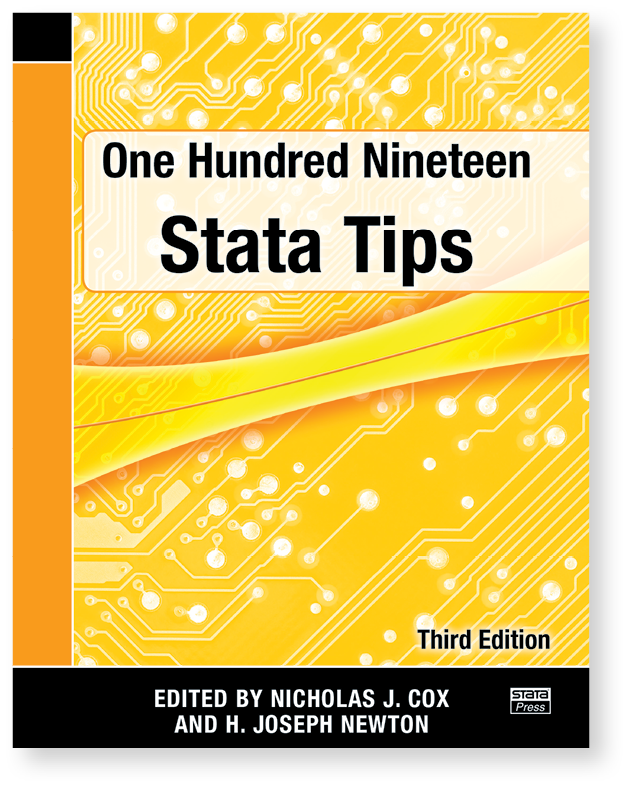 One Hundred Nineteen Stata Tips provides concise and insightful notes about commands, features, and tricks that will give you a deeper understanding of Stata. The book is a result of contributions from the Stata community that have appeared in the Stata Journal since 2003.